This summer has been much busier than I originally intended. 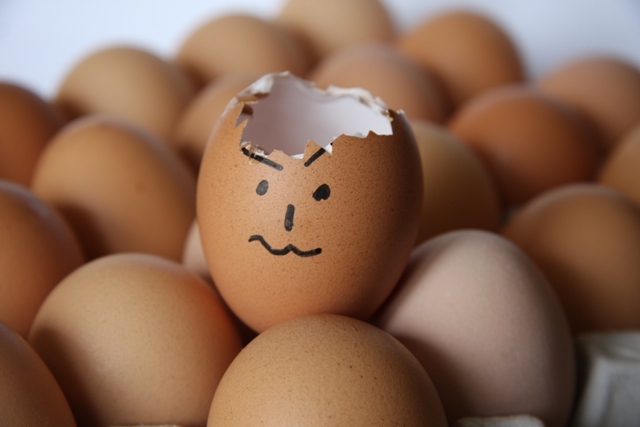 Between work on our library’s Assessment in Action project, writing 2 articles, putting together my 3rd Year Review portfolio, enrolling in the Immersion Teaching with Technology program, and the usually round of summer library projects, I’ve been feeling a bit like Mr. Eggy No-Brains (pictured above). This blog has suffered, but I promise to post on a more regular basis starting mid-August. In the mean time, browse through old posts, check out my other project, Librarian Design Share, or read College Libraries and Student Culture: What we Now Know, which I’m almost done reading. Spoiler alert: It is amazing.